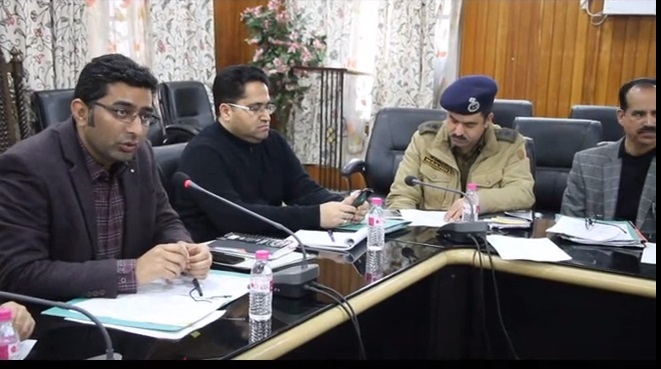 Deputy Commissioner Srinagar, Dr Shahid Iqbal Choudhary, Tuesday convened a meeting to review the arrangements being made for the forthcoming Me’raj ul Alam celebrations in the district. The Regional Transport Office and the State Road Transport Corporation were asked to ensure that there is adequate availability of transport facilities at all these places. The Traffic department was asked to prepare well-thought-out traffic management and parking plans in order to ensure hassle-free to-and-fro movement of vehicles.